Well, so sorry for the radio-silence! It’s been a crazy couple of weeks for me and the hubby at our respective jobs… that, coupled with some fun travel to Martha’s Vineyard this weekend, has made me a less-than stellar blogger. We just got back from a lovely weekend up north with two of my favorite people in the world, my brother- and sister-in-law. Those of you here in Austin can certainly appreciate how incredible it was to leave our 107 degree state for 75 degree highs and evenings that required a jacket. While I didn’t eat 100% Paleo over the weekend, I did take every opportunity to eat lobster. Seriously – I had it for multiple meals every day. Lobster rolls (sans bread), lobster mac & cheese (loved it, but not going to lie… the pasta, cream, and cheese made me feel less than 100% for hours after), surf & turf, lobster sauteed in butter… you get the idea. It was a lobster-fest. After enjoying such copious amounts of this delicious crustacean, I finally decided that I need to conquer cooking lobster at home… I’ve been intimidated (naturally, I think!) for some time, but I spent a lot of time thinking about why. Cooking a lobster at home is probably as close to killing our dinner as most of us ever get, and it can be daunting to end the life of these little critters. That said, I’m trying to eliminate hypocrisy in my carnivore nature, and I feel like I should be able to man up and kill/cook my own dinner. 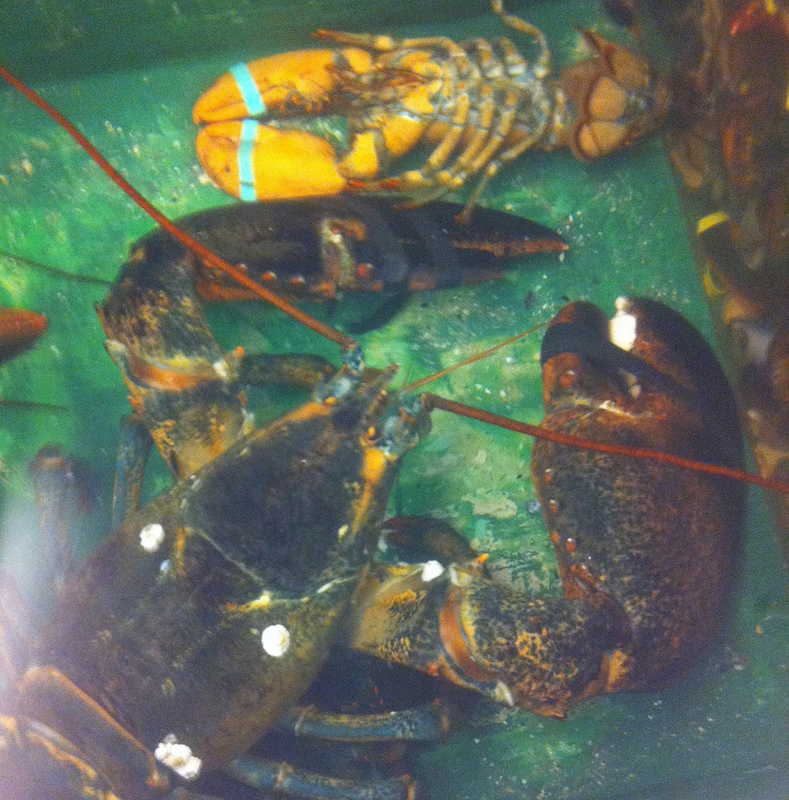 So, stay tuned… lobster at home is coming soon! Anyhoo… we had a fabulous time in Menemsha, and one of our favorite memories was our dinner at the Beach Plum. 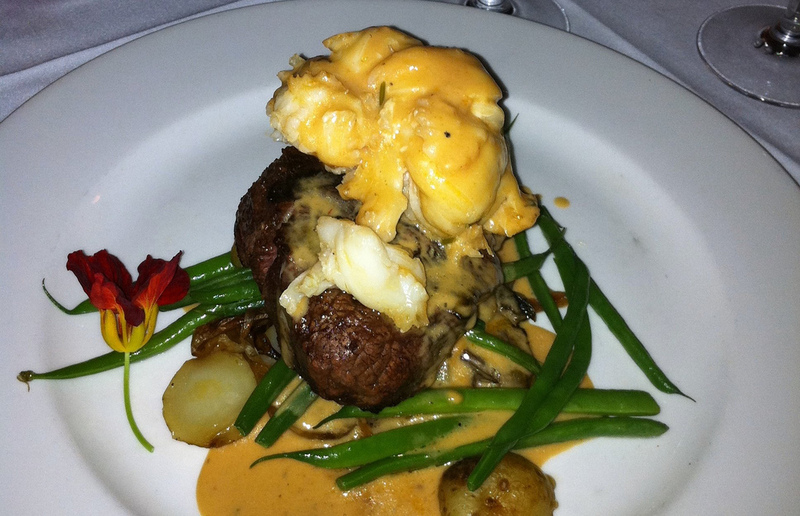 All of the carnivores at the table tucked into this gorgeous surf and turf – 8oz ribeye with 6oz. of butter-poached lobster. The sauce certainly wasn’t Paleo, but man-oh-man was it good! Might just have to try it at home Paleo-style! I was looking for blogs about Martha’s Vineyard to share on our site and I came across your post…If you’re open to it, shoot me an email at jane(at)dwellable(dot)com.